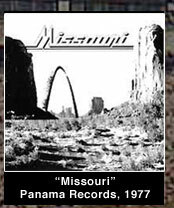 Missouri’s debut album, "Missouri," was released in August 1977. The album cover, shown above, depicts the St. Louis’ Gateway Arch, “Gateway to the West,” superimposed over a scene of Monument Valley in north-eastern Arizona, a concept that was West’s idea. A month after its release, the album was listed on "Billboard's Recommended Album" page. As the album received massive airplay on Midwest radio, Missouri embarked upon a concert tour. 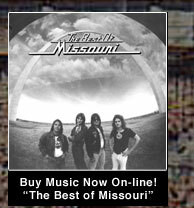 "Missouri" performed across the nation and provided warm-up at large venue gigs, stadium shows and tours. 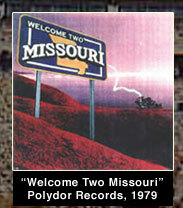 Where the band was well known and had solid air play, "Missouri" would headline. Missouri toured with national acts such as Ted Nugent, Golden Earring, Scorpions, Blackfoot, Sammy Hagar, Nazareth, Molly Hatchet, REO Speedwagon, Blackfoot, Rush, Blue Oyster Cult, Van Halen, Jefferson Starship, just to name a few. In 2005, Ron West and his brothers, as The Chesmann, were inducted into the Kansas Music Hall of Fame as its first inaugural class of honorees along with Big Joe Turner, Kansas, Mike Finnigan, Brewer & Shipley, the Blue Things, the Fabulous Flippers, Rodney & the Blazers and the Red Dogs. The Chesmann performed that evening with a line up that included Ron West, Gary West, Stephan West, Jim McAllister and Alan Blasco. 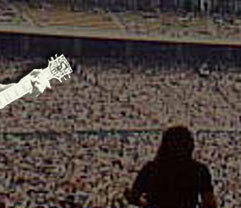 It was a most memorable rock n’ roll reunion for friends and families. 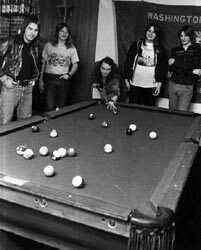 "Missouri" first performed in St. Louis in 1977 with the original band members Ron West, Lane Turner, Randall Platt, Bill Larson and Alan Cohen.